Philip Brown is a long-time resident of Canberra, Australia. He spent his working life teaching children with severe and multiple disabilities and developing training programmes to prevent the physical and sexual abuse of people with disabilities. To this end, with his wife and professional colleague, Veneta Amies, he co-developed and published SoSAFE!, a training programme designed to prevent such abuse. Over the last 40 years Philip has practised meditation of various kinds. For 22 years, he has been a student of the Tibetan Buddhist “Dzogchen” Master, Chogyal Namkhia Norbu, and prior to that practised Transcendental Meditation and Vipassana Insight Meditation. Since the age of 14, when he first read Aldous Huxley’s The Perennial Philosophy, he has had an abiding interest in this philosophy and the field of comparative religion. In this week’s guest post for The Culturium, Philip offers us a selection of sips from the sublime compositions of one of Sufism’s finest poets. 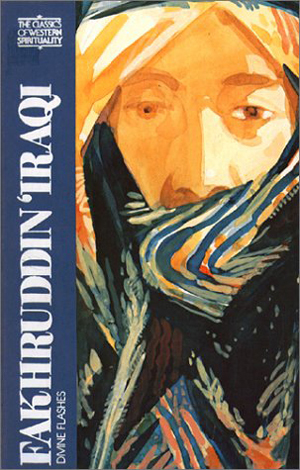 “Fakhruddin ‘Araqi was contemporary with other giants of Sufism such as Ibn ‘Arabi, Jalaluddin Rumi and Sadruddin Qunawi, men whose teachings dominate Sufi spirituality to this day. He himself was a leading light in a period so luminous that its brilliance still dazzles the eye some seven centuries later. Aqa Riza Jahangiri, Gentleman With a Gold Wine Cup. The Divine Flashes is especially beautiful as it intersperses poetry with lyrical prose, often with the former an ecstatic rendering of the latter. Furthermore, there is a sense in which the Divine Flashes is a union of the Western and Eastern Schools of Sufism. The Divine Flashes was inspired by one of Ibn ‘Arabi’s major works, The Bezels of Wisdom. Born in Spain, Ibn ‘Arabi is considered by many Sufis to be the greatest of all Masters and his writings are revered as great treasures. Fakhruddin ‘Araqi was one of the most preeminent figures of the Eastern School, which was especially regarded for its musical and poetic expressions and was enriched by the great spiritual jewels of the East, including both Hinduism and Buddhism. 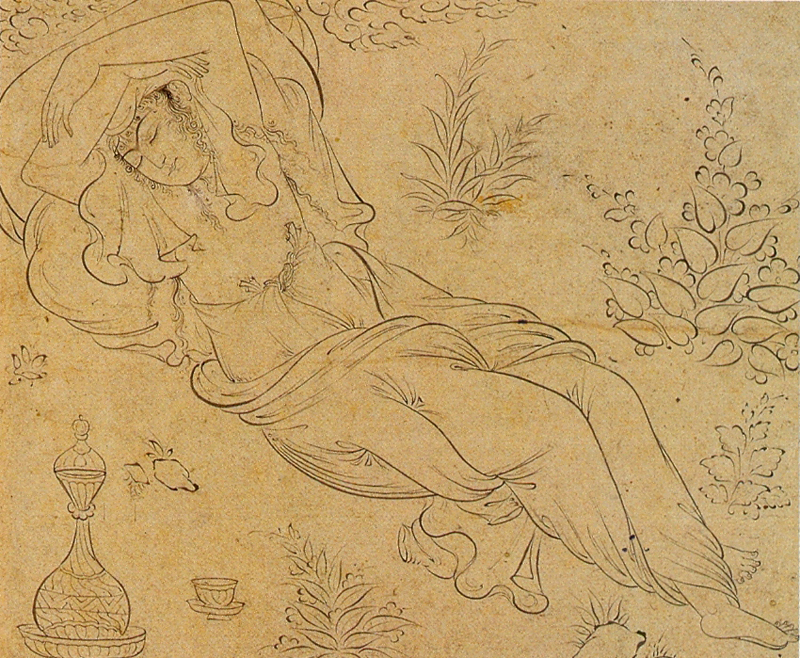 “‘Araqi was at once a metaphysician of the Ibn ‘Arabi school of Sufism and an exceptional artist of the Persian school of Sufism (which was to culminate with Jalaluddin Rumi).” Hence in the treasure, which is the Divine Flashes, we have the infinite vision of Ibn ‘Arabi rendered into the most exquisite Persian poetry, written in the language of love by the master poet of this genre, ‘Araqi. Sufi poets in general, and ‘Araqi in particular, often choose to speak of Reality in terms of Love, the Beloved and the lover. In this usage, Love refers to the Absolute or Essence, the Ground of Being, whilst lover and Beloved refer to seeker and Sought, person and God, creation and Creator, etc., respectively. Eternally, “there is but One Reality: Love or Sheer Being, which manifests Itself in two forms, the lover and the Beloved”. The lover is cast as masculine, the Beloved as feminine. This casting can be changed at will as the subject matter radically transcends such differentiation. Muhammad Muhsin, A Woman Carrying a Large Jar. The following collage has been rendered from Fakhruddin ‘Iraqi: Divine Flashes, translated by W. Chittick and P. Wilson, 1982. The poetry that follows is like an exquisite wine, which benefits from being consciously tasted and savoured, with a natural pause between sips. The lover, then, nourished with the water of life, awoke from the slumber of non-existence, put on the cloak of being and tied around his brow the turban of contemplation; he clinched the belt of desire about his waist and set forth with the foot of sincerity upon the path of the Search. “They look, they see, but do not comprehend. 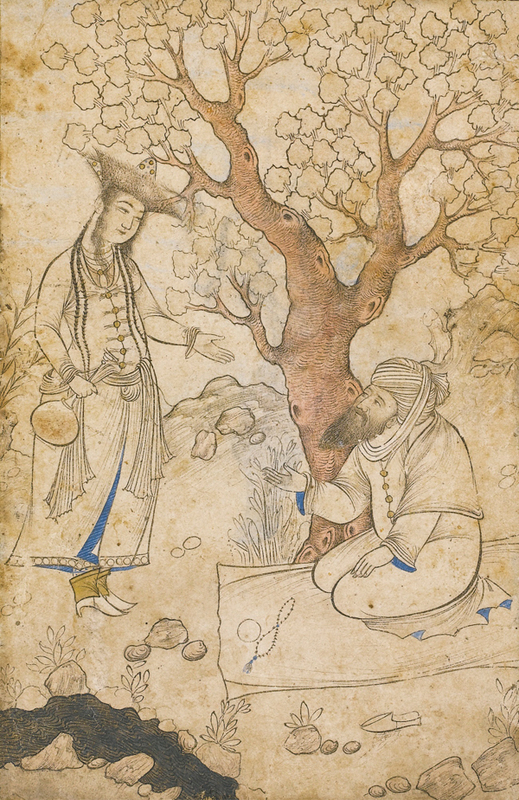 A Maiden and Bearded Man by a Stream. All quotations and the collage (Divine Flashes 2, 25, 27, 5) are drawn from Chittick and Wilson’s wonderful translation and commentaries, in which they have transliterated ‘Araqi’s name as ‘Iraqi (in other works, the spelling ‘Eraqi has been noted).